Do you have a plan to visit New Zealand? Here are some best places to see in New Zealand, visit them! You must know The Hobbit Movie, right? If you visit New Zealand, make sure you visit Hobbiton. This place is similar with the environment in The Hobbit Movie, from the houses until the hills and the mountains. 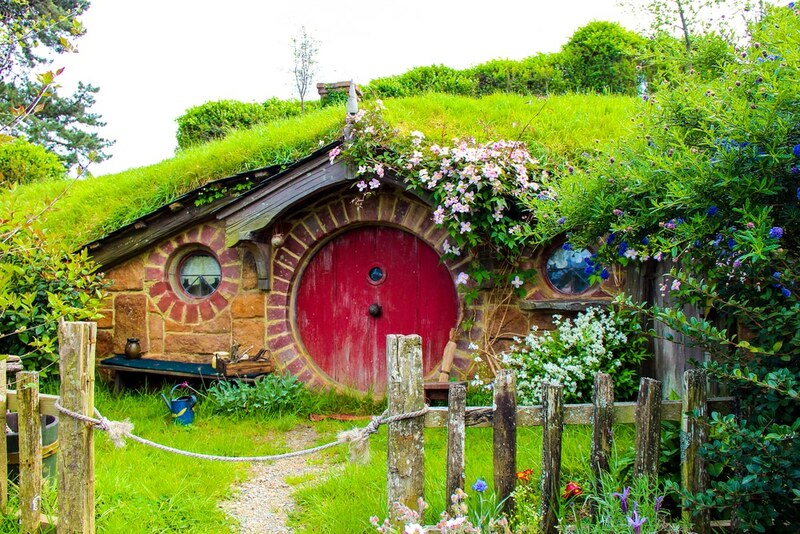 Hobbiton is located in The Shire, North Island. 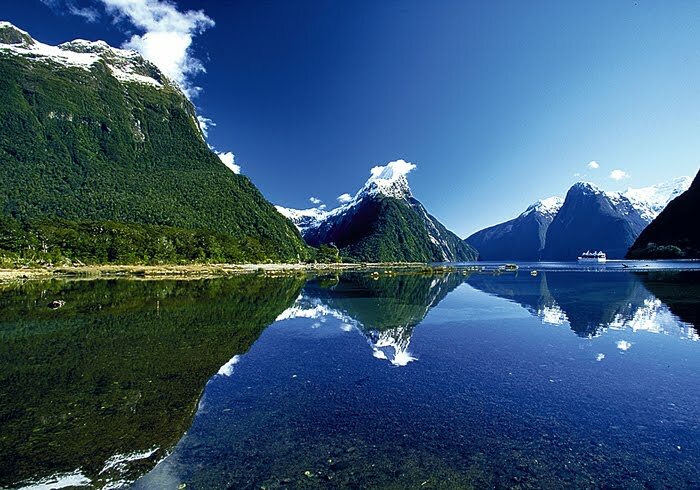 Fiordland National Park is the most dramatic place in New Zealand. This national park has glaciers which are naturally carved and has existed since a hundred thousand years ago. There are some ways to enjoy the beauty of Fiordland. Such as diving in Milfourd Sound, a scenic flight to enjoy the beauty of the waterfall and Alpine Lake from the height, and also cruise ship to see Doubtful Sound and Milfourd Sound closer. 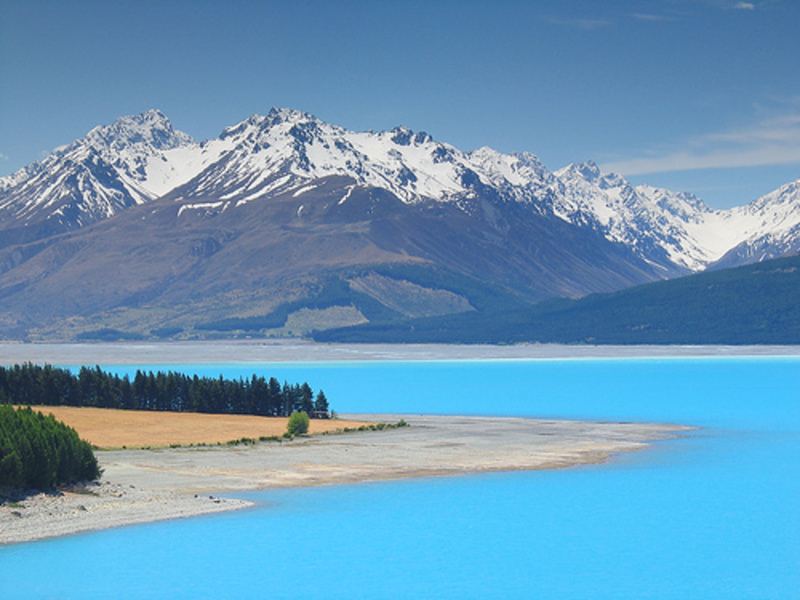 Pukaki Lake has clear blue water for you to enjoy. From this lake, you can also enjoy the amazing view of the top of Cook Mountain which is covered by snow. Moreover, the calm atmosphere is provided by Pukaki Lake for you who want to keep away from the crowd. No less beautiful than Pukaki Lake, Tekapo Lake also offers amazing views. To reach this beautiful lake, you can drive from Christchurch. In Tekapo Lake, you will be impressed looking the view of Southern Alps which are covered with snow. 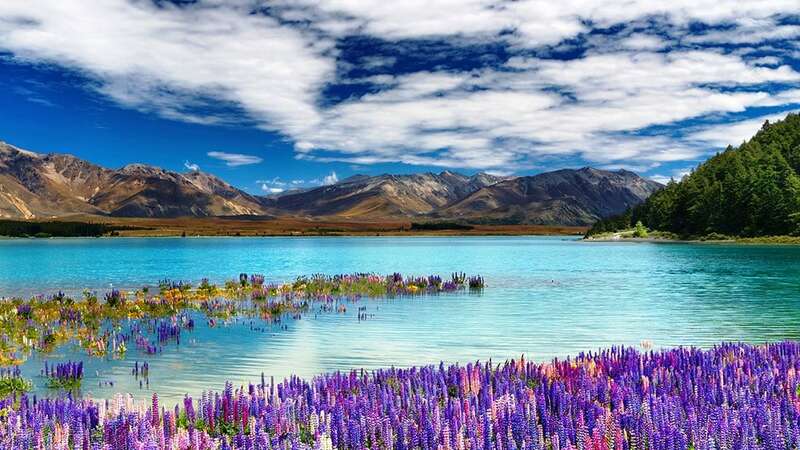 You can also see Lupin flowers in this lake, flowers which look like lavender. 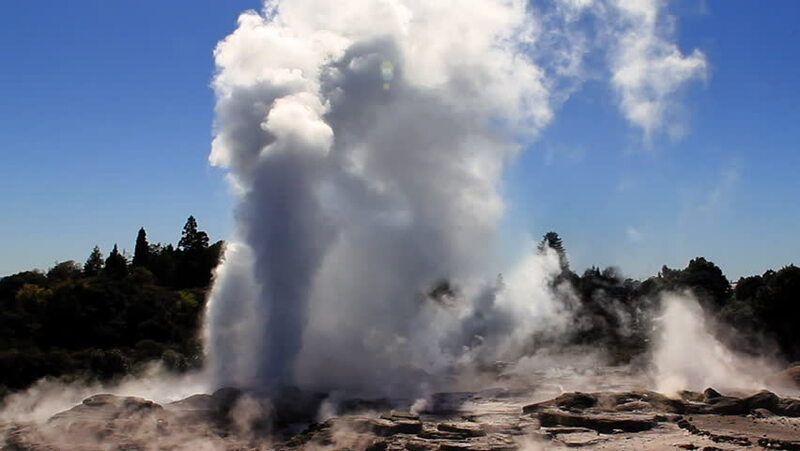 If you want to visit a unique place in New Zealand, visit Pohutu Geyser. Pohutu Geyser is a source of hot natural springs of earth which the height can reach 30 meters. What makes this place more amazing is, the river in the bottom of this geyser is as cold as an ice. Even though the river is from the natural hot springs of the geyser. 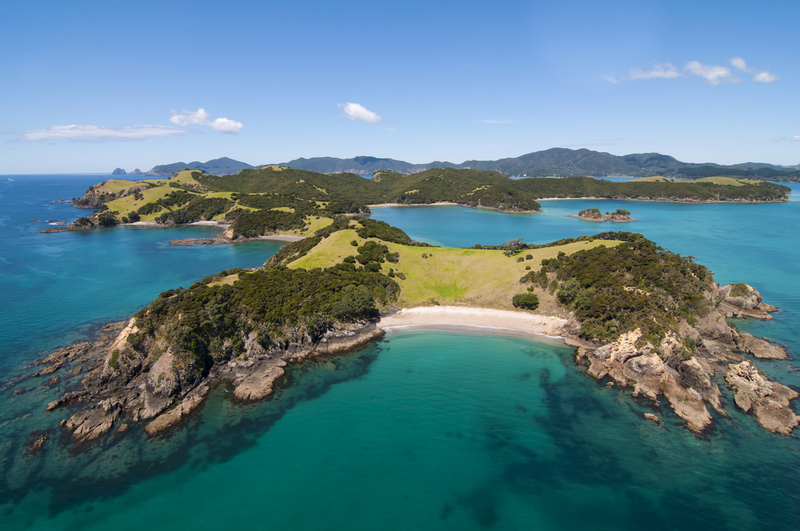 If you are a beach lover, make sure you visit Bay of Islands in New Zealand. Bay of Islands consists of 144 islands. In this place you will find a lot of beaches and bays. So that you don’t have to be confused which one to visit, all of them are pretty. Moreover, the underwater beauties of Bay of Islands are impressive. 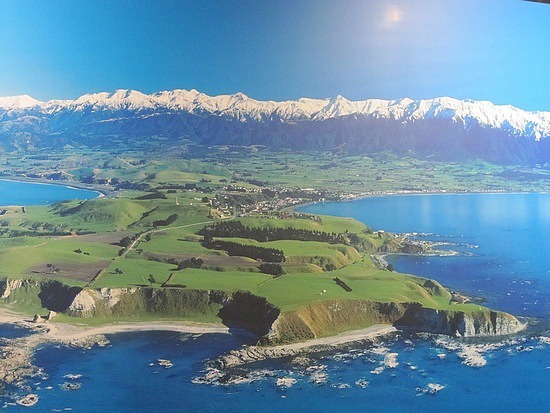 There are a lot of water activity you can do in Kaikoura, such as snorkeling, diving, until seeing dolphins. Spa is also provided in this one of best places to see in New Zealand.